May | 2015 | ride. travel. live. Historically one of the major crossroads of America, the city of St. Louis holds a vast number of architectural treasures from the post Civil War period until the 1960s. 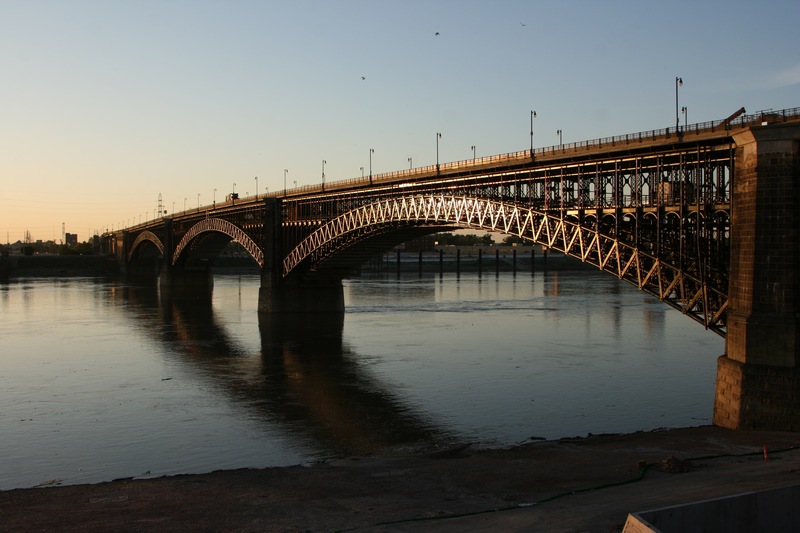 The Eads Bridge, still one of the major crossings of the Mississippi River, was one of the major engineering feats of 19th century United States, along with other superlatives like the transcontinental railroad, the Erie Canal, and the Brooklyn Bridge. The bridge is located at a narrow point between downtown and East St. Louis, Illinois, and was built after a protracted battle against steamboat operators, during the aftermath of the disastrous Civil War. Construction began in 1867 and was completed eight years later, in 1874. 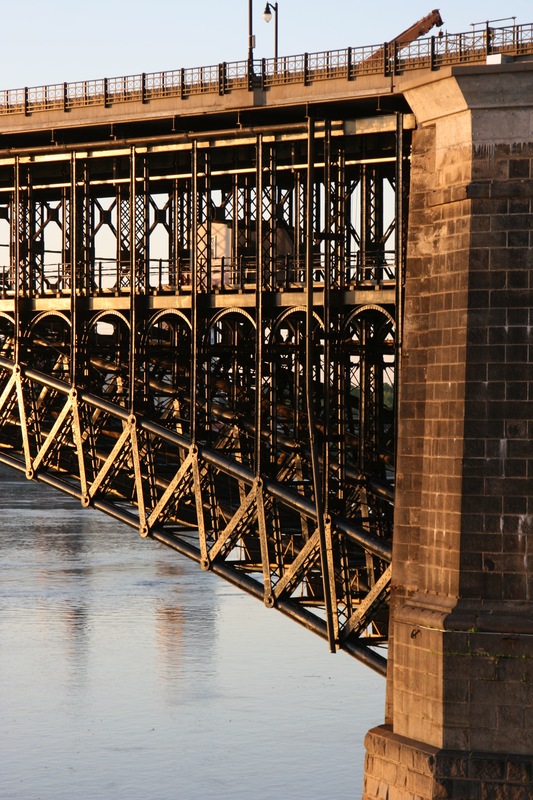 It was the first major steel bridge built, and pneumatic caissons were used for the first time (at a major human cost). 141 years later, the bridge is still in use, with MetroLink trains on the lower level, and a refurbished deck hosting automobile, bike, and pedestrian traffic. Aesthetically, the bridge is a balance of the delicate and muscular, with heavy stonework on the ends, and a dense network of steel in the three arches. Detail of steelwork and west anchorage. Eads Bridge, looking east from Laclede’s Landing.